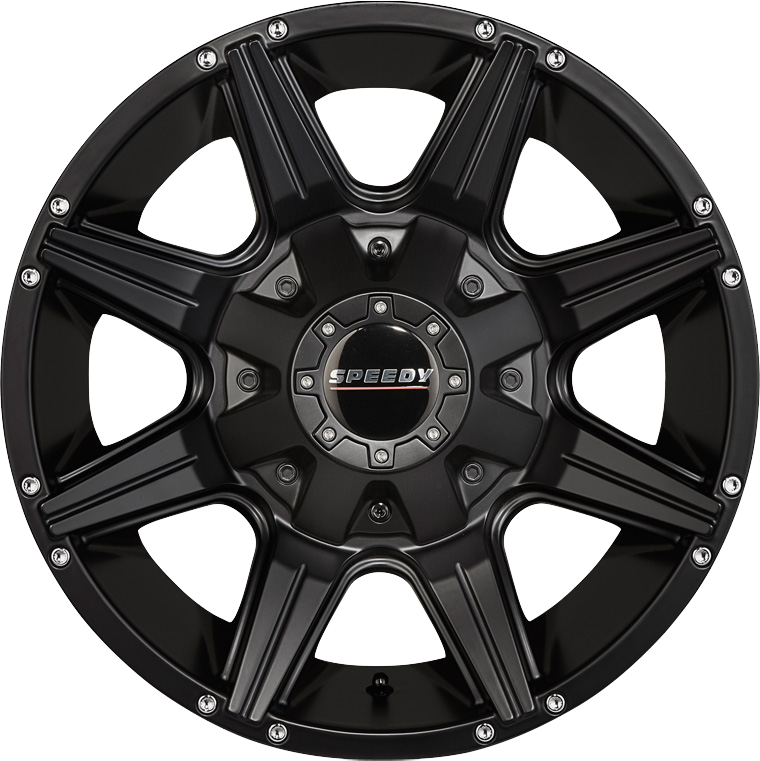 The tough 8 spoke design of the new Speedy Bighorn wheel, exemplifies a wheel capable of tacking harsh terrain, when subjected to heavy vehicle loads. The tough 8 spoke design of the new Speedy Bighorn wheel, exemplifies a wheel capable of tacking harsh terrain, when subjected to heavy vehicle loads. Bighorn is available in Satin Black for a full blackout look or Satin Black with Milled Spoke Accents.